Stephen King adaptations have been running through the hallways of nostalgia along recent months and with the outbreak hit of Stranger Things cranking it to “Eleven…” sorry, had to...it’s no surprise that everyone is seemingly grabbing up previously successful and even less than stellar hits and trying to breathe new life into them. Producing a conservative 10 episodes on Spike TV it hit less than favorable reception and was cancelled at the end of its run. Stephen King’s novella that this show is based on, already found its way to the big screen back in 2007 with Frank Darabont at the helm. 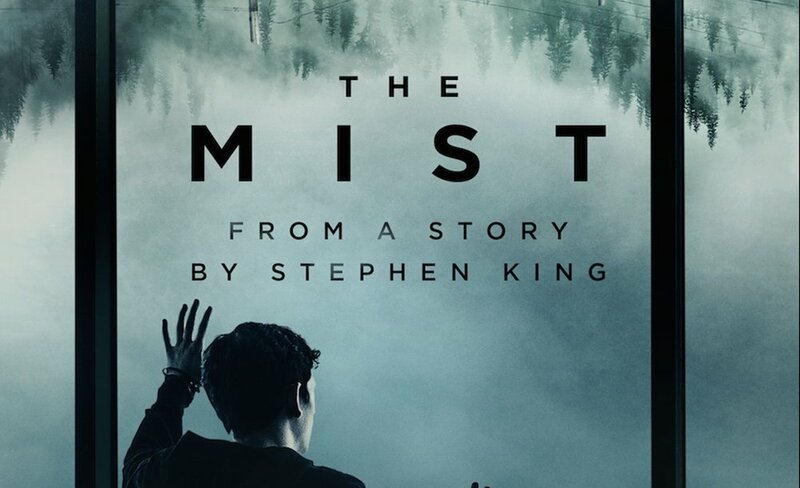 The film had a bleak atmosphere and focused more on the insidious nature of its human characters rather than the large creatures that go bump in the Mist. Filled with satire, horror and political dispositions it kept things simple and character driven. This series had the opportunity to expand on these concepts and dive even deeper into the human psyche and explore more of the Mist itself. Taking place in the writers narrative stomping grounds of Main, specifically in the small town of Bridgefield, we meet a plethora of new and interesting characters. Morgan Spector as Kevin Copeland, Alyssa Sutherland as his wife Eve and Gus Birney accompanying them as their daughter, Alex. The show initially centers around this family. 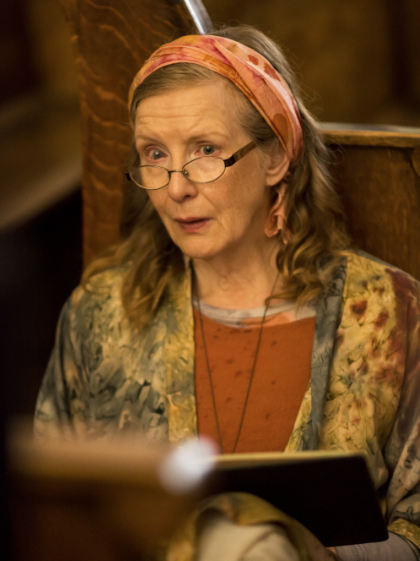 Additional characters amongst the ensemble include, Nathalie Raven, conspiracy nut with a passion for plants and animals played by a one Frances Conroy, notably better known for her consistent roles on the hit anthology series American Horror. (She plays creepy well…) and rounding out our group is Danica Curcic as junkie Mia and Okezie Morro as amnesiac soldier, Bryan. Previous versions of the characters were largely left within a supermarket, minus a few escape or foraging attempts. The show takes a rather interesting turn by splitting most of the cast to 3 different locations. A large group at the mall and 2 smaller ones at the local church and police station. The show seemingly avoids the creature-feature side of its predecessors in favor of personalizing each characters experience with a more psychological situation further expanding on the themes established in the pilot. The differing themes seem promising, when showrunner Christian Torpe positions the small towns characters into situation fueled with anxiety, adding a perplexing stimulation to the political and socially driven narrative within this community. The “skeletons” in the closets of this town’s people are never really brought to the surface with any real clarity and the delivery of these subplots are clunky at best. Subtlety is lost on many as the cast finds themselves questioning faith and ethics, often. But, Conroy, (creepy lady sheltered at the church) is above and beyond what I could have expected from the rest of the cast, as she makes these back and forth debates watchable. Her performance continues to pull me through even the most ridiculous of rhetoric. As the show continues, the plot repeatedly relies on below sub par devices to thrust the plot onward. A sexual assault storyline that started with the pilot is horribly mishandled and misplaced. The main characters have become more anecdotal to the small town problems and less like real people in extraordinary circumstances, something the film did much more organically. When our characters are finally forced to tackle on the mist, the show begins to pick up steam. We can glean moments of beauty through scenes where the mist takes on a life of its own. Like a snake tale of mist crawling through a keyhole. Death scenes are gory and inventive and sometime shocking in their delivery. Motivations are simplified and the direction tightens up. Then. Back inside our little shelters…and all hope of this story getting better is lost. In those brief outdoor encounters we begin finding the true frustration here. There’s a crazy good horror show in here somewhere and ,like the film, could have explored the potential for how terrible people can be much like what’s lurking in the mist or that these people have depth and are capable of more than just deranged decisions. Instead we are left with incredibly poor writing and a cast unable to elevate it.